Today we are delighted to begin the roll out in New Zealand of our first public preview version of a Firefox browser for iOS. 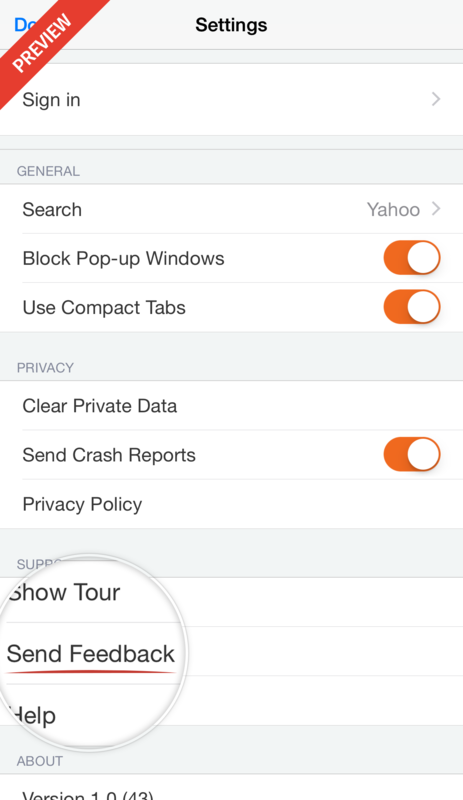 Our goal is to create a great browsing experience for iOS with Firefox. With this first public preview we will be collecting feedback in one country, before we extend availability to get feedback in a few more countries prior to a full public launch. Feedback from this preview release will help us build new features and bring Firefox for iOS to the App Store in rest of the world later this year. If you are interested in being notified when Firefox is available in your country, sign up here. This preview release features Intelligent Search, which provides suggested search results and the choice of search providers. 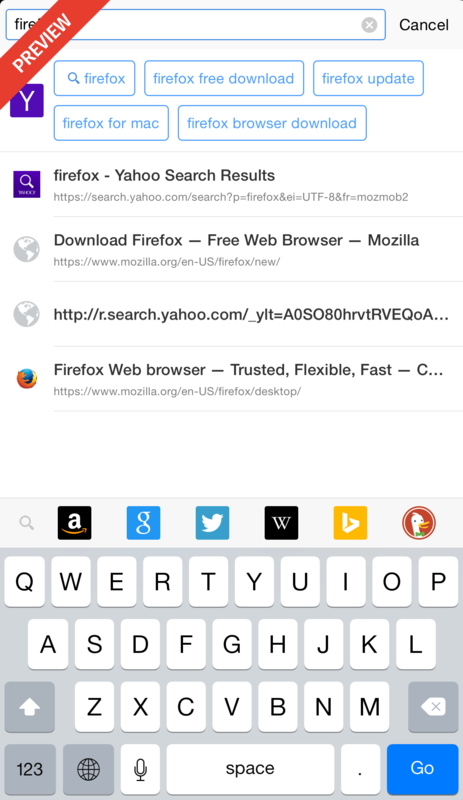 With Firefox Accounts, you can take your Firefox browser history, passwords and tabs from your desktop to your iOS devices. 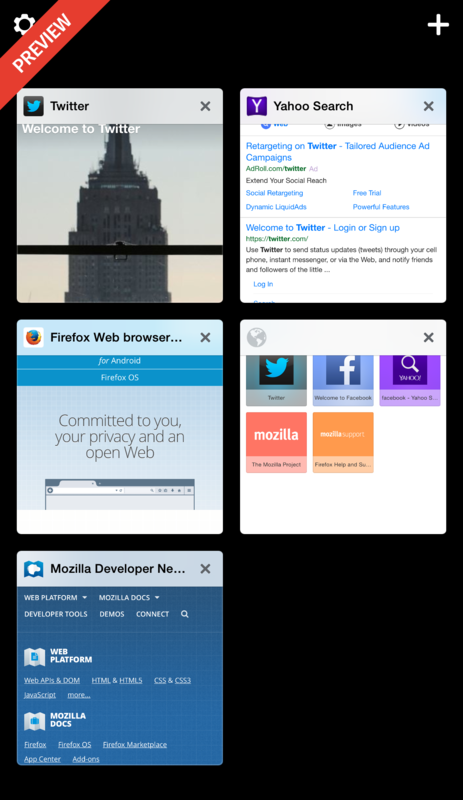 The preview release of Firefox for iOS also includes Visual Tabs, an intuitive way to keep track of your open tabs. 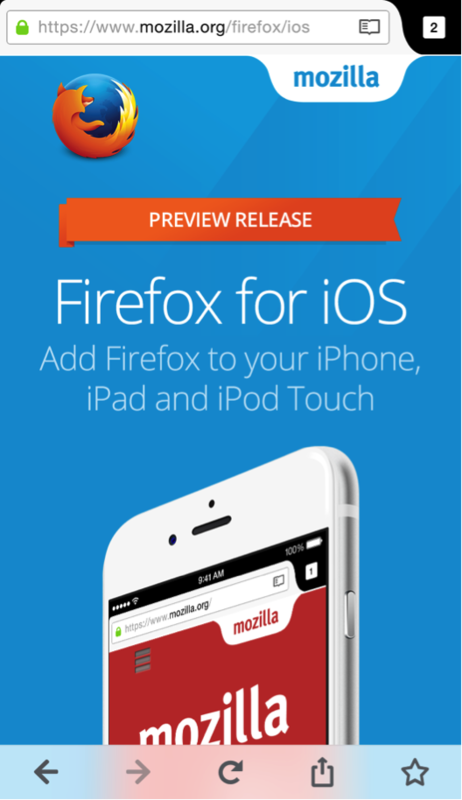 We want your feedback to help us make Firefox for iOS great. You can share feedback directly with us in the app. To do this, tap the numeric tab icon on the top right of Firefox for iOS, tap the “Settings” menu on the top left and go to “Support” to send your feedback directly to us.